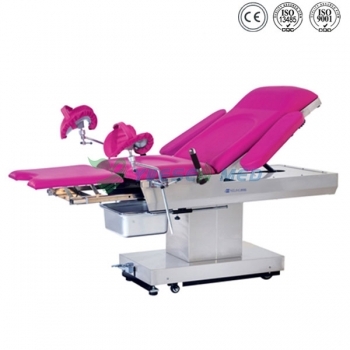 Obstetric Delivery Table Imported brand motor Various actions are controlled by remote controller. The bed surfac and base both adopt high 304 stainless steel, which is anti-corrosive and can be easily cleaned. Obstetric Delivery Table Foot treadle brake device which is easy for moving operating table.